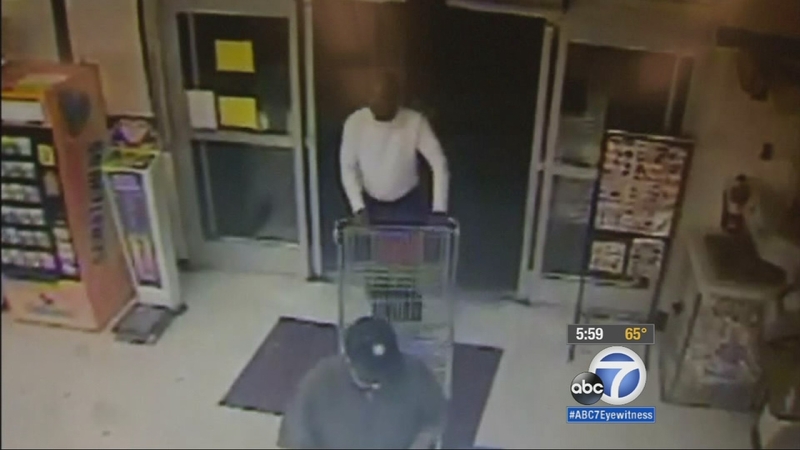 Surveillance video catches two men who attempted to purchase a 2-year-old boy for $100 on Wednesday, Jan. 7, 2015. COVINA, Calif. -- Covina police said the case of two men allegedly trying to buy a 2-year-old boy for $100 at a market was all a big misunderstanding. It all started Wednesday evening when a 34-year-old woman was shopping with her son at a Baja Ranch Market in the 400 block of South Citrus Street. She told police that two men approached her, complimented her son and asked if she wanted to sell her child. The woman also told authorities that the men parked beside her outside the store and again asked to buy her child for $100. Covina police said the two men saw the story on the news and came forward to explain. Authorities said the two men are partners in a successful local business. One of the men told investigators he saw the mother and son at the market and gave the woman compliments on how beautiful her son was, adding that he resembled his son at that age. He told police that when he saw the two in the parking lot, he wanted to take the opportunity to be generous. He pulled out a $100 bill and offered the cash to the woman saying, "Please take and use it to buy your son something." He said when the woman refused, he insisted. When she continued to refuse, he left the money with her as a good deed and drove away. Detectives contacted the woman and told her what the man told investigators. She told authorities that it's possible she misinterpreted what the man said and what his intentions were. She said she was nervous and scared because it seemed odd that a stranger was complementing her son so much. Covina police said they are confident the two men were just trying to do a good deed and that there was no criminal intent.